James Speer, M.S., a certified genetic counselor, has over 10 years of experience in the fertility field. As the medical field’s understanding of genetic conditions expands and testing becomes more comprehensive, there is a growing need from fertility patients to work with a specialist to understand and consider their options. As a genetic counselor, Speer’s role is to obtain detailed health and family histories, identify conditions with genetic components and risk factors, discuss inheritance patterns, and provide information regarding genetic testing options. Once test results are attained, he will empower patients with non-directive counsel and provide support as they make their decisions. Many of the fertility patients he works with will have donor sperm or donor oocytes as part of their fertility treatment. It is important to understand the genetics of the donor as well as the intended parents to fully understand any inheritance risk factors. Speer earned his Bachelor of Science in Medical Cytogenetic Technology from the University of Connecticut School of Allied Health Professions and then went on to earn his Master of Science in Human Genetics from Sarah Lawrence College. His career started as a lab technician conducting genetic research and testing. 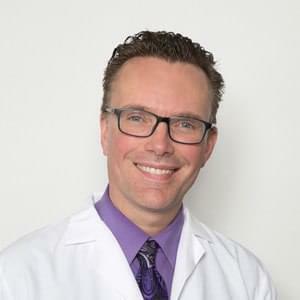 In addition to working with patients for more than 20 years, Speer has been a professor and was the Associate Director of the Joan H. Marks Graduate Program In Human Genetics at Sarah Lawrence College in Bronxville, NY. Outside of the office, Speer keeps busy as a father of four children.